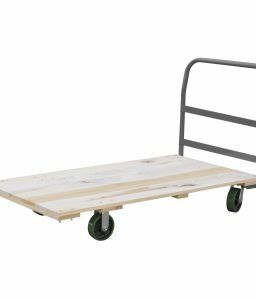 This heavy duty hardwood deck platform truck from Akro-Mils Series 5 has a deck size of 24in x 48in. 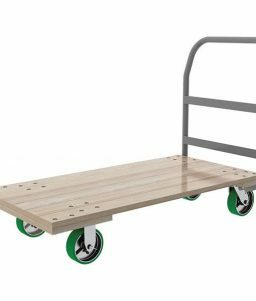 It uses 6-inch polyurethane caster wheels and supports up to 2400 pounds of load capacity. Use it in your warehouse or in various other industrial settings. 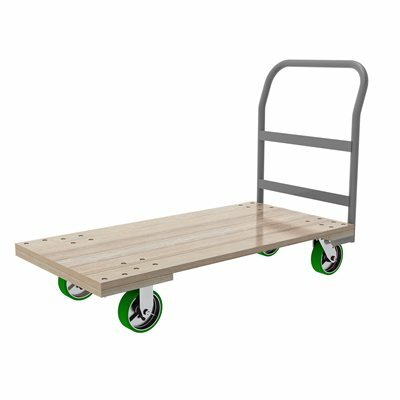 SKU: LS-RPT24485K5M8GYAM Category: Platform Trucks Brands: Akro-Mils. Akro-Mils is well known as one of the leading innovators in creating industrial storage, transportation, and organization that work well and that fit the budget to make your organization more efficient. Their hardwood deck platform trucks provide another example of quality and excellence. 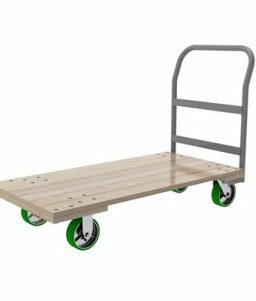 This platform truck has a deck size of 24 inches x 48 inches and uses 6-inch polyurethane casters. It has a heavy weight capacity, holding up to 2400 pounds of material. This platform truck is one of the Akro-Mils Series 5 Wood Platform Trucks. 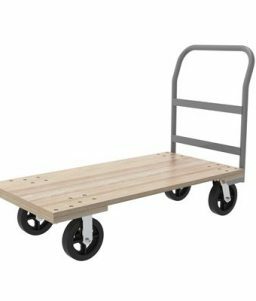 These platform trucks feature unfinished kiln-dried hardwood decks and come standard with powder-coated 13 ga fixed steel handles. Light assembly is required to prepare this platform truck for use. 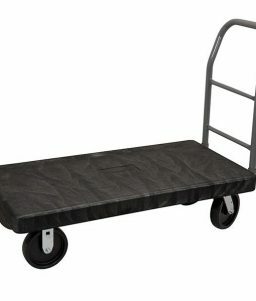 The cart handle is gray, as pictured.